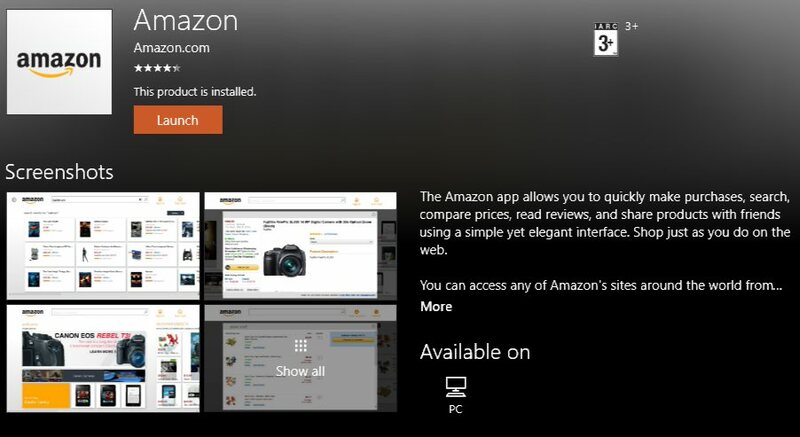 Amazon today released it official app for Windows 10 PC. Recently, the company removed its app for Windows Phone. There had been rumored that the company is working on a new Windows 10 app. The app is not available for Windows 10 Mobile phones yet. The Amazon app allows you to quickly make purchases, search, compare prices, read reviews, and share products with friends using a simple yet elegant interface. Shop just as you do on the web. You can access any of Amazon’s sites around the world from a single app by simply selecting your desired Amazon country store or shipping destination. You have full access to your existing cart and wish lists. View popular products and recommendations. Read product descriptions and reviews. Add any product to your Shopping Cart and/or Wish List. Access any of Amazon’s sites around the world.